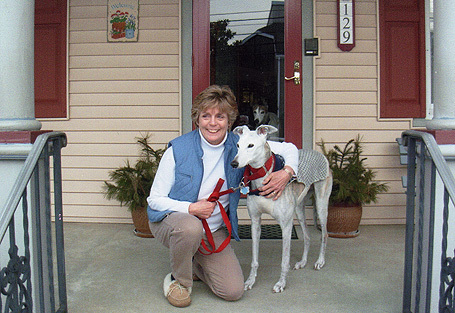 Lena, pictured with her owner Diane Irvin of Macungie, PA was adopted through First State Greyhound Rescue nearly eight years ago. Her teeth were inherently bad, and extractions began about five years ago at National Greyhound Adoption Program in Philadelphia. 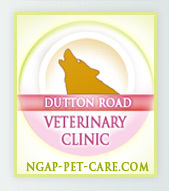 Each year, a few months after her annual cleaning/extractions, her gums again began to bleed. We tried various dental health efforts which all failed. In February of 2010, we once again brought her (now nearly 11 years of age) to Philadelphia for her annual dental work. The remaining 10 of her teeth were removed. The transformation has been remarkable. We could tell the difference 3 days after the extractions. We expected her to be lethargic, but instead she had renewed energy. He breath, which has been terrible for years, is now fresh. Eating has not been a problem. She is wolfing down her food. 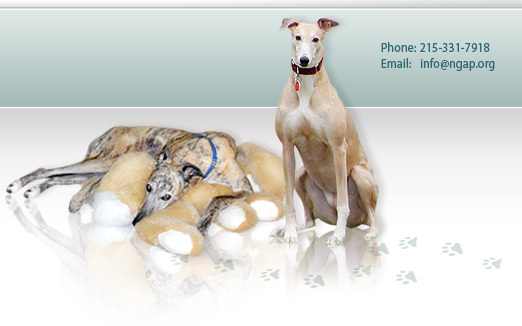 We are glad we had the remaining teeth removed and thank the terrific veterinary staff at National Greyhound Adoption Program for their efforts on Lena's part. 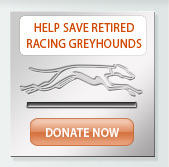 To help other greyhounds, please give us your feedback about your dog.